Since 2008 the Lunar Orbiter Image Recovery Project (LOIRP) has been recovering data from 5 unmanned NASA spacecraft in the 60s which were tasked with looking for landing sites for the Apollo missions. Running on a shoestring and now reliant on public donations after NASA funding ended the project involves restoring data from tape drives from the original Lunar Orbiters which were found in a barn and analogue data tapes. Funding is needed to refurbish the tape heads and pay for the engineering team which looks after the old hardware. 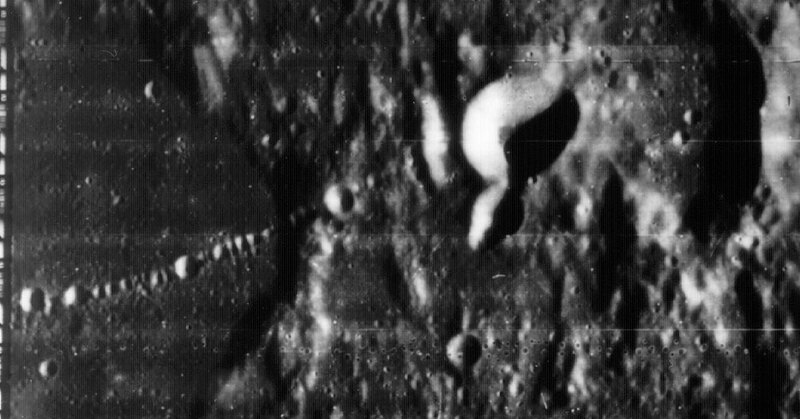 The Lunar Orbiters developed their own photos, scanned them and then transmitted the data back to Earth where they were printed out. Luckily the received data was also recorded onto analogue tapes which the LOIRP team is now processing. The resulting images are of a higher resolution than the original printed photos from 47 years ago. People donating to the project (and today is the last day) can receive a number of goodies depending on the size of their donation, even some of the original printed photos from the 1960s. The official LOIRP website can be found here. Photo taken by Lunar Orbiter 4, from here.